What are the factors that affect learning and behaviour in a child with epilepsy? Seizures associated with loss of consciousness obviously disrupt mental functioning during the seizure, but this can sometimes last for several days. Absence seizures appear to disrupt short-term memory for items presented immediately before the seizure. The underlying neurological problem causing the seizures may also have an impact on learning and behaviour. Research has shown a correlation between cognitive/behavioural problems and complex partial seizures. Absence seizures may produce temporary memory problems. Tonic-clonic seizures are followed by a period of drowsiness or inattentiveness. When seizures are very frequent, the time between seizures may not be long so complete recovery from the cognitive effects of the previous seizure may not be possible. Onset very early in a child’s development is correlated with increased problems. Seizures that begin in older children may produce a period of instability, while the child attends medical appointments, undergoes testing, and begins taking medications. This period of adjustment may lead to some acting-out behaviours that were not present before the seizures began. Different areas of the brain perform different functions. For example: if seizure activity occurs in important processing regions, a child may have difficulty learning new information; or if the seizure focus is located in the region of the brain responsible for emotions, a child might experience a feeling of fear or anxiety during a seizure. Anti-epileptic medications may impair concentration and lead to poor processing ability, distractibility, lowered alertness, drowsiness, or hyperactivity. Children taking several medications will be at higher risk of experiencing behavioural and cognitive side effects than children on one medication. Some epileptic syndromes (e.g. Lennox-Gastaut Syndrome) involve cognitive or developmental correlates. Even children who appear to be seizure-free may be experiencing epileptic discharges in the brain (epilepsy type waves occurring when there is no physical indication of a seizure). Interictal discharges may produce restlessness, distractibility, inability to focus, decreased capacity for taking in new information, behavioural disturbances. What are the psycho-social implications of having epilepsy? A child with seizures may experience the world as an unpredictable, discontinuous, and scary place. Seizures may make a child feel “out of control” of his own body. Parent or teacher’s concerns regarding safety may lead to overprotecting the child. Consequently, a child may become dependent and feel helpless and unworthy. In a school setting, teachers will often perceive a child with epilepsy as being unmotivated, not realizing that seizures can have a profound cognitive impact on a child. This misunderstanding can lead to a lot of frustration for the child and his family, as well as the teacher. Many children with epilepsy feel embarrassed when a seizure occurs in public. Feeling isolated or different from other children is also common. This often leads to low self-esteem and feelings of low self-worth. Children who are having a difficult time adjusting to their seizures may exhibit hyperactivity, anxiety, aggression, and acting out behaviours. This may serve to further distance them from their peers. It’s important to recognize that these behaviours are related to a constellation of medical, pharmacological, social and emotional factors at play in the child with epilepsy. Remember, that a child may experience observable seizures, seizures you can’t see, nocturnal (nighttime) seizures, and interictal discharges. Teachers may need to modify instruction given this reality. A child’s ability and knowledge may be variable; he may know something one day, and the next day seem to have forgotten it. This may require a change in a teacher’s expectations (e.g. postpone a test until the child seems more alert). Since focus and attention may be hampered even when a child is not having seizures, a teacher should use repetition and direct instruction when needed (i.e. when the child appears to be having difficulty concentrating or retaining new information). Use consistent ways of interacting and patterned use of language. This provides a continuous, predictable experience for the child with seizures. Instructional language is very important. It should be simple, clear, and consistent so the child will know what is expected of him. Look for ways to promote success. This is very important in a child who may experience feelings of low self-esteem. Children with seizures may have difficulty with transitions, as they perceive the world as unpredictable and discontinuous. Try to build predictability and routine into the classroom environment. Consider using a “buddy system” or some form of peer helping. Many children with seizures are quite comfortable with adults (having had adults “manage” their health and safety) but less competent at making and keeping friends. Help build self-esteem and mastery through peer support. This also imparts a level of comfort in the other students. How can teachers recognize that a child is having absence seizures? Absence seizures can look a lot like short periods of staring or daydreaming. If a child is daydreaming, often you can get her attention by touching her on the shoulder or calling out her name. If a child is experiencing an absence seizure, you will not be able to stop it or bring the child out of it. Be patient and in a moment or two the seizure will end. Be reassuring and repeat any instructions you may have given during the seizure. How can teachers help other students better accept the child with seizures? Watching a person have a seizure can be very frightening. Many by-standers feel helpless and worried that the child may be injured or even die. Understandably, the other students in your class may react negatively to the child with seizures. They may become frightened and upset at the sight of a classmate who appeared healthy a few minutes before but now seems under a lot of distress. They may worry that they could “catch” epilepsy themselves. Unless the other children are given the opportunity to learn about and understand epilepsy, they may transfer their fear to the child with seizures. They may reject or tease him. 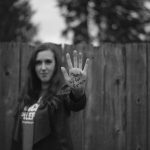 For a child with epilepsy, the negative attitudes of others often does more harm than the seizures themselves. Ideally, when you become aware that a student in your class has seizures, take an opportunity to introduce the topic to the class, without necessarily referring to the child (i.e. as part of a general discussion on health problems). Point out that we all have unique features that make us different, but that these differences should be accepted and embraced by all. Explain that what happened to their classmate is called a seizure and it is part of a medical condition called epilepsy. Seizures occur because, for a minute or two, the child’s brain does not work as it normally does and it sends mixed up messages to the rest of his body. Now that the seizure is over the brain and body are working normally again. Except for the brief periods of time when the child is having the seizure, he is just like everybody else. Epilepsy is not a disease that you can catch, like a cold or measles. It is not contagious. Children who have epilepsy take medicine to prevent seizures, but sometimes they happen anyway. Seizures usually stop by themselves, but it’s a good thing to know how to perform first aid. What should a teacher do after a child has a seizure? Some children are tired and need to rest or sleep following a seizure. Other children are able, either immediately or after a few minutes, to resume whatever they were doing prior to the seizure. It may be necessary to modify a classroom activity slightly while the child recovers. For example, if a child has a seizure during math class, he may not have the capacity to resume his work immediately following a seizure. He may need to spend some time just listening to the teacher or working alongside another student. Whenever possible, a teacher should try to maximize the amount of instruction time a child receives by allowing him to remain involved in classroom activities. Remember that every child with epilepsy is unique. Teachers should get to know the specific needs of their students with epilepsy to help determine how to support a child following a seizure. It’s important to work closely with the parents in making this decision. Can a child with epilepsy participate in gym class and field trips? While ensuring safety as much as possible, participation in sports and other recreational activities should be encouraged. Most people with epilepsy tend to have fewer seizures when they are engaged in a physical activity rather than during inactive periods. In general, children with epilepsy can participate fully in all school activities. Only the most extreme pastimes, such as diving and mountain climbing should be limited. Climbing on high ropes in the gymnasium or using power tools in shop class should also be closely monitored. Take into account the frequency and type of seizures a child has, the length of warning (aura), if any, and the doctor’s advice. A buddy system may be used for swimming, field trips, etc. Try to normalize the experience of a child with epilepsy in school as much as possible. Healthy physical and emotional development in children require an active, varied lifestyle. Preventing a child from playing and interacting normally with his peers can produce a more negative outcome in the long-run (i.e. low self-esteem, poor social skills) than the potential risk associated with having a seizure. 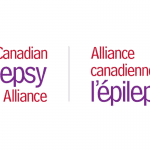 How can a teacher assist parents of children with epilepsy? Often parents go through stages of denial, grief, anger and loss when their child is diagnosed with epilepsy. Understand that parents may feel worried about their child’s safety and, in turn, may become overprotective. They may also appear angry and frustrated with their child’s experience in school. Sometimes negative feelings may be directed at the teacher or principal. Try not to feel blamed. Ask questions and seek regular updates about your student’s epilepsy. Provide parents with any information that may be helpful in managing the child’s epilepsy and maximizing performance in the classroom. Keep the lines of communication open.